Note: The following is the latest blog posting by garden retail industry consultant Ian Baldwin. It was originally posted on May 4, 2018. 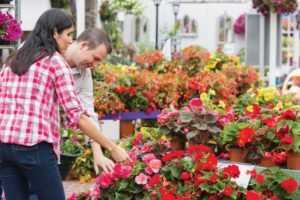 Right now, most owners and managers in the retail garden business are in “can we catch up with budget?” mode after a late, cold spring season, and are probably not worrying too much about demographic trends. So mark this as a “should look at this again after Memorial Day” headline and circle back when you can raise your head above the trench. Talking of military analogies, the cavalry, in the form of the under-35-year-old householder, is coming over the hill to save the garden industry — just in time, as female Boomers continue to disengage. As an analyst and commentator for the 2018 National Gardening Survey (NGS), I have the opportunity to look at the data regarding the American consumer’s participation in and spending on gardening. First, let me say that we (i.e. the NGS team) do not fixate on a single year’s data, even though both gardening spend and retail sales hit all-time highs in 2017 — which would be very tempting headlines. But we do look very closely at consumer spending trends over six-year periods and even more crucially at the participation data. People remember what they did last year more accurately than what they spent last year. Nestled in the 250-plus pages of NGS data, something caught my eye. Twenty years ago, the NGS showed that the biggest consumers of gardening information were females over 55 years old. The 2018 NGS shows that same data point to be the under 35s and male. Furthermore, they are buying information online the way people bought magazines 20 years ago. Although we are always cautious about one year’s results, millions of households say they acquired a gardening app last year alone. Not only does this fact confirm the switch to digital media, it also suggests that this age group is serious about getting it done right the first time, and that they are comfortable using silent information, at least in the first stage of how-to learning. As if to confirm the confirmation, I also found another little factoid: The under 35s have shown steady growth in using the “Do It For Me” services of landscapers. It seems that the more affluent under 35s are much more prepared to employ others to do some of the garden chores than the previous generations were at the same stage in life. So, what are you doing to meet, welcome, educate, and assure younger householders’ success in their digital space, so they get it right the first time? That would seem the best way to win their loyalty. To them, first-time success is an essential part of the shopping experience about which we are now hearing so many clichés. Please join in the comments on my blog, and let us know how you are tackling this huge opportunity. 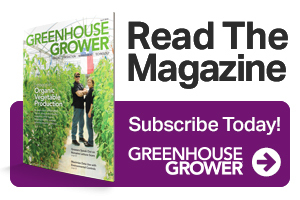 Ian Baldwin [[email protected]] is a renowned garden industry consultant who has been training garden retailers how to be better business managers for more than 30 years. See all author stories here.